For centuries, there had been an absence of practical magicians all over Britain. Magic lay dormant, sleeping, since the disappearance of the Raven King. 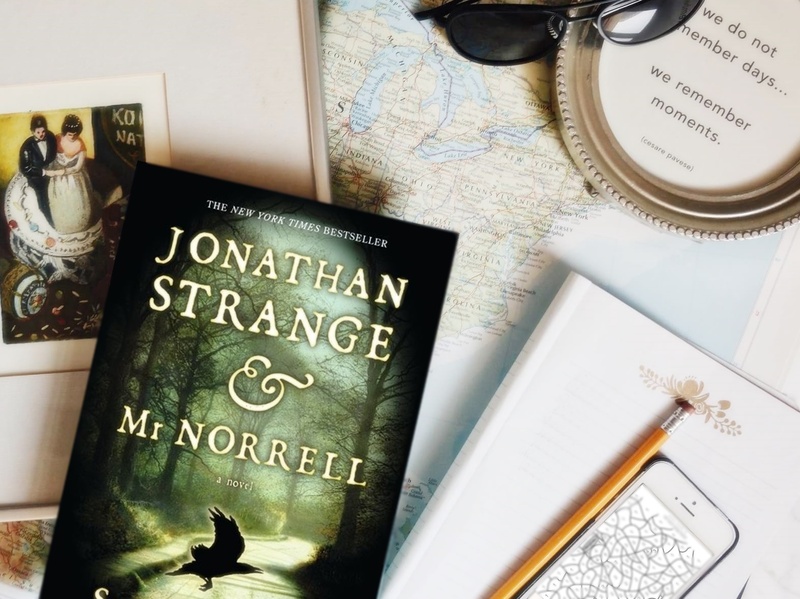 Until Mr. Norrell decided to disembowel himself from his library in York to prove the world that magic can be made anew through him and that being a Magician is a respectable profession. He was joined by Jonathan Strange in this endeavor as his apprentice, then later, as his rival. It was his vanity for recognition, contempt for any theoretical magician, and his ambitious plan to erase the memory of the Raven King in magical history that fueled Mr. Norrell. Magic, for him, was an academic exercise. Meanwhile, Jonathan Strange was an endearing naïve man, who was not daunted by hardship; instead, he was lively, imaginative and courageous to a fault. He was not afraid to experiment on magic, neither to deviate from what was written nor to dare write his own. To make this description a full set, the antagonist of the story was played by an unknown Faerie figure which is frightening because of his emotional instability and childish whims. A duplicitous character whose only purpose was to sow havoc on the lives of others. Define chunkster? JONATHAN STRANGE AND MR. NORRELL would be my present definition. It inherits the disadvantage of any Victorian novel: lengthy. I have to put this on hold two years ago because I felt I was swimming through a quagmire. If it wasn't for the online buddy read-along we had at TFG, I wouldn't be able to finish this… again. To add besides, Ms. Clarke used footnotes like they were a short dissertation on magic and its history. And she had a habit of digressing, often chapter-long. Intentionally, perhaps? The good thing about this book is that its disadvantage is also its own redemption (if you survive the first 300 pages). The characters and plot built slowly, but thoroughly, through the pages. The main characters were well played from being the protagonist, into being the antagonist, then back again. Ms. Clarke made sure that there were no coincidences in her book, only relationships –a handful of byroads that led to the same and only highway. And the short dissertation help brought the setting into a believable historical fact. Ms. Clarke surely went into painstaking length to marry historical characters, facts, and events with fantasy. Her detailed description of Faerie was both dreamlike and madness. Surreal. I read this book for a month. A reader may read this book for two different reasons: One, because of the challenge. The length and superfluous plot of this book is not an easy feat to conquer. Two, for the sheer pleasure of reading a fresh take on fantasy and historical fiction. Or both, because the love of reading is a good enough excuse, as always. Hi Louize! And finally you were able to write a concise but spot on review of this doorstop. Love it!